August | 2014 | Heart, Soul, Strength and Mind. The name calling we should be doing. 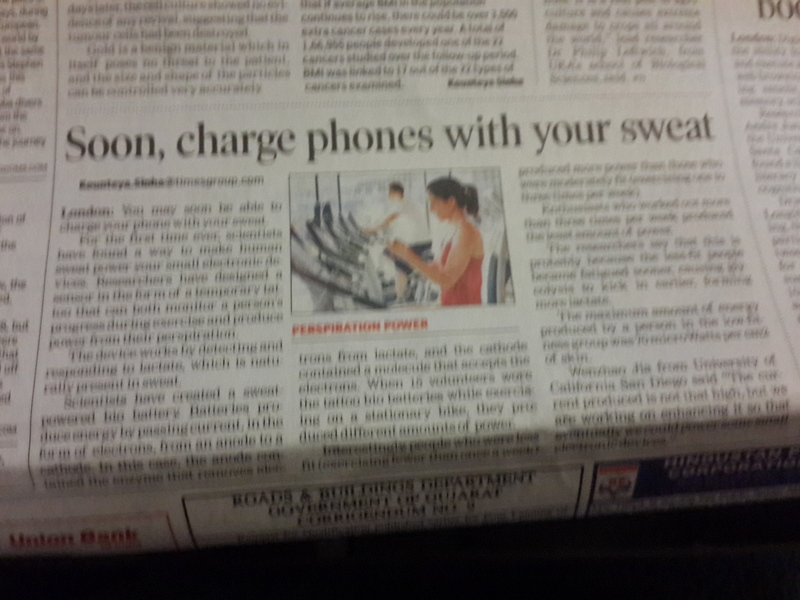 Don’t just sweat it out … sweat it on! An apple that day …. Hadam and Hewah, known to us as Adam and Eve, were the first humans created by God’s hand. We can only surmise as to the fabulous beings they were. Since they were made in His image and likeness, they had abilities and skills that we can only guess. Adam named all living creatures, so you can well imagine his intelligence. The glimmer of telephatic ability and clairvoyance we now possess as humans, sometimes, is a mere shade of the full mental capabilities that God bestowed. Eve was made because God saw that it is not good for a man to be alone, so you can well imagine the quality of the lady and the depth, intensity and quality of the relationship Adam and Eve had. They were given the perfect existence: constant and total contact with God, a flawless environment to live in. They were incapable of boredom or ennui or ‘what do we do today there’s nothing much to do’. In the cool of the Day God came to spend time with them and speak to them. And teach them. They fellowshipped with him with their miraculous faculties of communication. They were also incapable of death because they were made in His image and likeness. A God that cannot perish could not possibly create, in His image and likeness, two people who could perish. But God gave them the most important quality, because God is just: he gave them free will. And with that, he gave them the opportunity to demonstrate their free will in His favour. He turned it into a test. Incidentally there is no reason to believe it was an apple. It must have been a amazing, irresistible fruit, impossible to refuse. That makes the test a test, doesn’t it? Well the test was simple: do not eat the fruit of the tree of knowledge of good and evil. Lucifer was the most powerful of the angels God had created. In time he asked himself a single question: "I don’t see much difference between me and God, so why don’t I get the worship He gets? I believe I deserve it." He attempted to seduce all the angels into conducting a military coup in heaven and was repulsed. He turned to God’s treasured couple. Now Lucifer was not the repulsive snake we have come to believe. Being the prime of the agengels and the leader of this host, he was a magnificent creature: hypnotic, compelling, persuasive. He appeared to Eve and instigated a conversation. We know the simplistic side of the conversation but it went, basically, this way: You can have a far better existence than the one you are having. God knows it, and doesn’t want you to have it because He likes the idea of you trapped in this arrangement. You need to see and taste this possibility. Eat of the fruit, and you will have your eyes opened. Share this fantastic knowledge with your husband. So Eve ate of it, and took it to Adam. And so, in eating, they failed the test. Because the catastrophe was that the knowledge of good and evil is the knowledge that you can exist without communion with God. God made man fully free so that was most certainly possible.God is not under the control of anything, and his creation HAD to have choice and free will. Where there is obedience, there is disobedience. Where obedience is rewarded, disobedience forfeits the reward. The tragedy is that with disobedience, you lose communion with God, and that existence is garbage. So Adam and Eve were cast out from Eden. They no longer merited that existence. We are today the arena of an intense battle between Satan and Heaven to prove that we are the children of disobedience. And that we do not deserve grace and all its riches. But Jesus has covered us with His righteousness. Clint, Jesus reclaimed us. That was was the previous post was all bout. And what Jesus won for us is a million zillion times GREATER than what Adam and Eve had. This is a promise of NOW, the Dispensation of Grace. It is NOT about heaven, it is NOW, for believers like you and me. Jesus did not accomplish what He did on the Cross to take us back to Eden but to take us triumphant in Heaven with Him for eternity. Jesus believes in revenge and vengeance. And revenge with a vengeance. On the Cross, Jesus avenged us. The Crucifixion was revenge, pure and simple, on behalf of us. It was a total, all out, to-the-death fight, marked by hate of sin and utter contempt for everything that did not have His purity. But it was an act of extreme love for us. It was an act of extreme mercy for us. It was an act of extreme compassion for us. It was an act of extreme forgiveness for us. It occurs to me that the ‘deal’ could have been that if Jesus successfully finished the Crucifixion that Satan and demons and hell world be annihilated. But He did not ask for that. He asked for us. He asked to have us in heaven with Him. He chose to concentrate on paying the ransom. He wanted an eternity with you and me as his prize. That Cross was the perfect act of revenge. And with the Resurrection, it was revenge with a vengeance. What happens at Google in a minute. If this is what happens at Google in just one minute, imagine what God’s mind must be like. 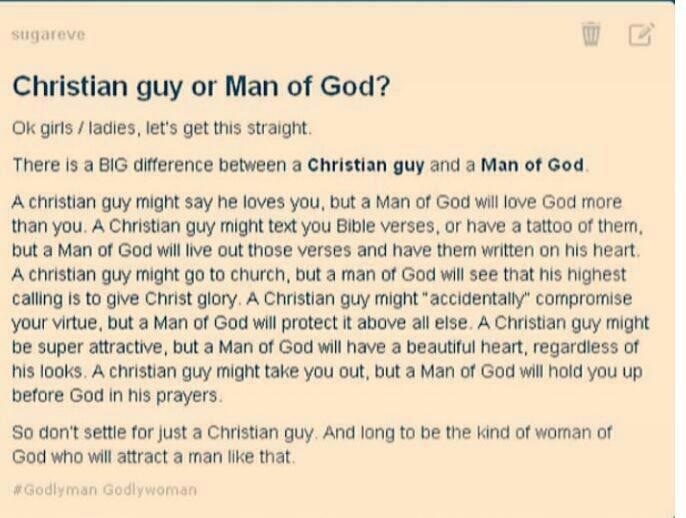 Christian guy or Man of God? I saw this floating around the other day and for once, I decided to call one of these out. There are thousands of these floating around. Many are pure scripture, and many are rendered with great graphic excellence. But many are just sentiments, and the kind of sentiment that can completely sabotage the good Christian life. Really. Yes, really. I meant that. Honestly. But in my opinion the one pictured below is a prize example of woolly thinking passing itself off as knowing Christian instruction. I note the ‘sugareve’. Dear God. A very sugary eve once listened very carefully to everything that Satan had to say, then took the decision of believing it, then took the decision of talking Adam into eating the forbidden fruit. But lets not sully the waters, shall we? First, there is the absurdity of setting up the idea of a "Christian guy" versus a "Man of God." But lets be fair and suppose that the intention is to distinguish between a man who is paying mere lip-service to being a Christian, and a man who is living an entire life deeply committed to God, and submits himself to being ruled in Word and Spirit by The Word Of God. Maybe the attempt is to distinguish between a ‘backslider’ versus a ‘man who is right with God’. We’re clear about that, and I don’t want to trick you, dear reader into seeing shadows where there are none. But, lets be academically responsible (just a bit) and check the words out. "Christian" was at first used as an abuse, in the region of Antioch, to derisively refer to ‘those who followed the one called The Christ’. Our faith’s first martyrs, many who stoutly proclaimed their faith and gave up their lives for what they believed in, considered it a badge of honor. ‘Christ’ was not Jesus’ name. It most certainly is one of his titles, and I have no quarrel if you want to call it His most important title. 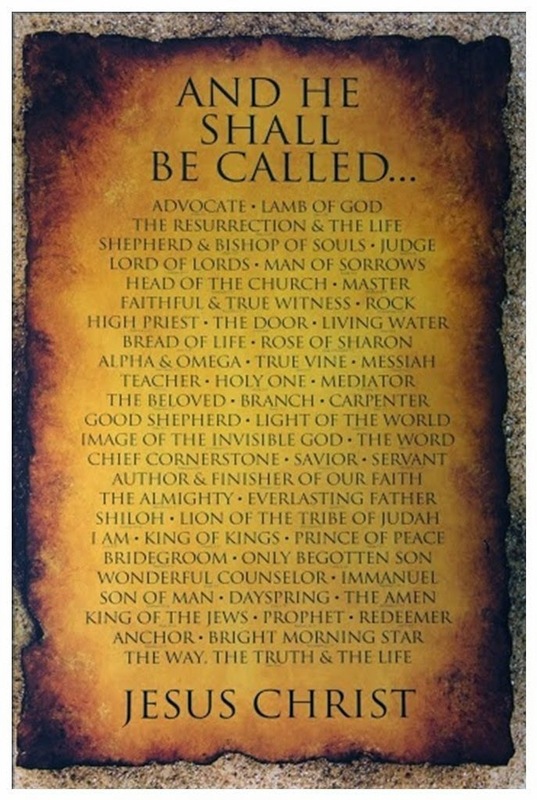 Jesus’ name, depending on your historical source, was, actually, roughly, Yshua bar Husef bin Nazri or ‘Jesus, son of Joseph, of Nazareth.’ ‘Christ’, or Christos, is a designation, a title. Christian is every inch a term of respect as it deserves to be. To classify lukewarm, borderline, backsliding believers as ‘Christian’ and fervent, Spirit-filled believers as ‘Man of God’ as opposed to ‘Christian’ is a travesty. Note that David, called a Man of God by nothing less than the Word Of God, was guilty of the entire appalling Bathsheba episode and the horrendous betrayal and assassination of her husband, who was one of his chosen 300. This is getting confusing? A David chosen to be Israel’s king, who was chilling out at the palace while his troops were in battle, indulging his basest lusts in an adulterous affair with an already married woman, then stooped to conniving to have her husband, one of his elite warriors, killed in battle, is a Man of God? Well, the Bible seems to say so. Doesn’t it? "might say he loves you"
"might text you Bible verses or have a tattoo of them"
"might "accidentally compromise your virtue"
All this ‘might’ing is supposed to mean what? A ‘Christian guy’ who says he loves you, texts you Bible verses, goes to church, is superattractive and takes you out is just a … er … ‘Christian guy’? Oh he er … might … accidentally compromise your virtue. Yeow. Your entire virtue can be compromised in an ‘accident’ where you have no awareness whatsoever of what is happening and absolutely no participation in the moment? Really? will love God more than you. live out those verses and have them written on his heart. will see that his highest calling is to give God glory. will protect your virtue above everything else. will have a beautiful heart regardless of his looks. will hold you up before God in his prayers. The poster simply wants us to accept that a ‘Christian guy’ wont do these things because …. er …. because … er …. he is just a "Christian guy". In 30 years of being a Christian, I’ve known moments of sheer grace where God lifted me up because ‘underneath are His everlasting arms’. I’ve also watched many powerful Christians fall … and rise again. I’ve also watched many powerful Christians fall …. and stay there. I’ve watched good Christian men and women invite catastrophe into their marriages in moments of weakness. I’ve watched some build a whole new marriage rooted ONLY in God. I’ve also honestly admired Christian marriages that have effortlessly maintained a fabulous Christian testimony of Christian marital excellence over decades. But in all that time, I grew to marvel at Christian women. As the apostle Paul said, "The woman is the glory of the man. 1 Corinthians 11:7. My Pastor said: A spirit filled woman can take her man places he would never hope to reach by himself. The poster should at least have quoted one just one scripture to enlighten the reader on the Word of God’s excellent portrait of a woman? Just one scripture would have been enough. Just one. Oh, come how, how difficult is it to remember "Proverbs 31". "And long to be the kind of woman of God who will attract a man like that", the post concludes. Don’t long, baby, begin now. There are many Christian guys out there to whom YOU could be THE helpmeet who allys with him to make him a Kingdom Man. If you must long, the Bible is clear: long for His return. Some one asked my Pastor once how to go about finding the Right Man. My Pastor’s answer: "Be the right woman."